Well, this is an awesome way to launch a game that spans both generations. 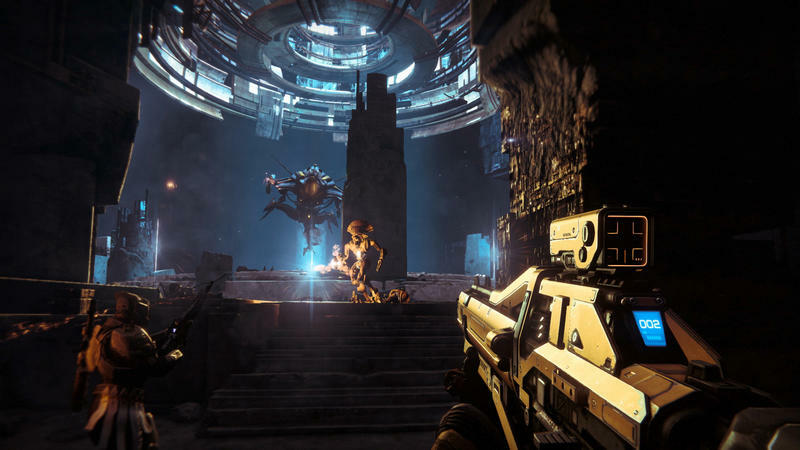 For a limited time, if you buy Destiny digitally for your Xbox 360 or PlayStation 3, you'll be able to earn a voucher to download and install the Xbox One or PlayStation 4 version of the game for when it's time to upgrade. The only real deal is that you have to stick with your platform of choice when making the jump. That means going from Xbox 360 will have to go Xbox One and PlayStation 3 users will need to stick with PlayStation 4. Bungie has all the details in the source link below, but it's pretty straight forward. Buy the digital version on the previous gen of consoles and you'll get the new generation version for free. Here's the exact wording, sub out Xbox for PlayStation if you live in Microsoft's gaming ecosystem. So, hey, if you've been afraid to dive into Destiny because of the generational gap, that fear should be all but expunged. Destiny releases tomorrow for the Xbox One, PlayStation 4, Xbox 360 and PlayStation 3. We'll have more on the game as it comes, including our full review.